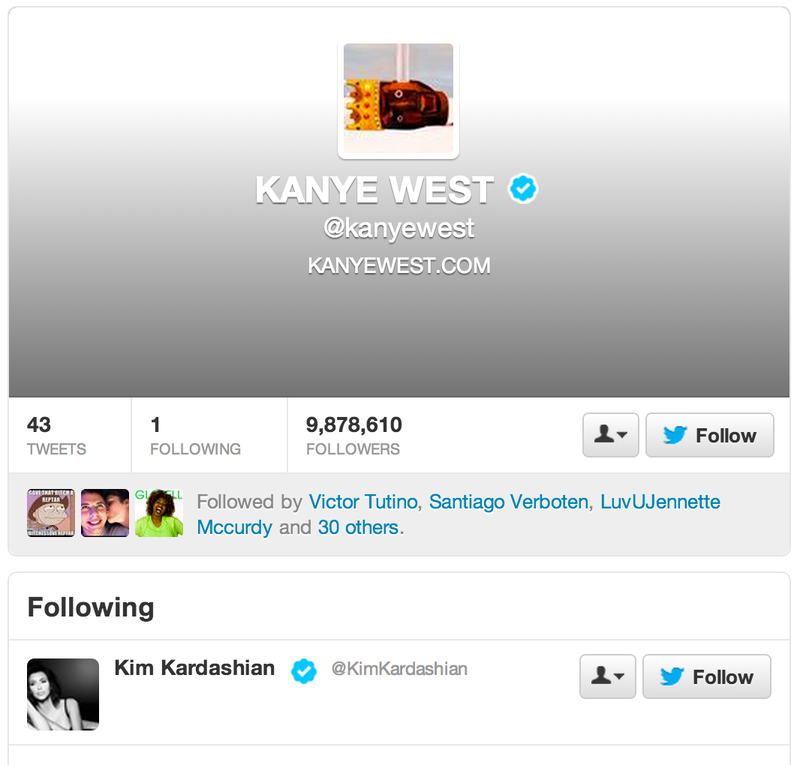 You only follow one person, and its Kim? I guess Jay Z isn’t good enough for you anymore. Posted on September 27, 2013, in Average Blog Posts and tagged kanye. Bookmark the permalink. Leave a comment.